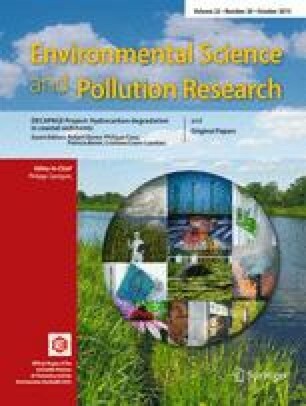 The objectives of this study were (1) to assess the responses of benthic nematodes to a polycyclic aromatic hydrocarbon (PAH) contamination and (2) to test bioremediation techniques for their efficiency in PAH degradation and their effects on nematodes. Sediments with their natural nematofauna communities from Bizerte lagoon (Tunisia) were subjected to a PAH mixture (100 ppm) of phenanthrene, fluoranthene, and pyrene during 30 days. Nematode abundance and diversity significantly decreased, and the taxonomic structure was altered. Results from multivariate analyses of the species abundance data revealed that PAH treatments were significantly different from the control. Spirinia parasitifera became the dominant species (70 % relative abundance) and appeared to be an “opportunistic” species to PAH contamination while Oncholaimus campylocercoides and Neochromadora peocilosoma were strongly inhibited. Biostimulation (addition of mineral salt medium) and bioaugmentation (inoculation of a hydrocarbonoclastic bacterium) were used as bioremediation techniques. Bioremediation treatments enhanced degradation of all three PAHs, with up to 96 % degradation for phenanthrene resulting in a significant stimulation of nematode abundance relative to control microcosms. Nevertheless, these treatments, especially the biostimulation provoked a weak impact on the community structure and diversity index relative to the control microcosms suggesting their feasibility in biorestoration of contaminated sediments. This work was funded by the CMCU program (PHC-UTIQUE, no. 09G 0189), Centre National de la Recherche Scientifique (CNRS), Institut de Recherche pour le Développement (IRD), and the Faculté des Sciences de Bizerte (FSB). Dr. Emma Rochelle-Newall is gratefully acknowledged as native English speaker for her helpful criticisms on an early version of the manuscript and for English corrections.